As part of an ongoing commitment to accelerate the growth and adoption of Internet of Things (IoT) technology, Stream Technologies has deployed an array of incubator LoRa networks throughout the UK. With incubator networks deployed in Glasgow, Liverpool and London, Stream is providing an entryway into LoRa technology and encouraging collaboration between industry experts, academics and enterprises. In line with the company’s objective to nurture the development of LoRa technology and foster growth throughout the industry, Stream’s incubator networks are entirely open to organisations who want to develop LoRa applications and test them in a real-world environment. For many organisations and individuals, developing IoT projects in real-life conditions can prove challenging. For example, developing and testing smart city applications can be prohibitively expensive because of the lack of openaccess testing environments available. Developers in this field require consent from multiple parties, dedicated hardware, specialised software and network technology, as well as estates in which to create an effective test environment. This results in a heavy strain on finance and time. Stream’s incubator networks are designed to stimulate the development of IoT sensors and applications and to address the challenges of developing smart city solutions in real-life conditions. Stream is supporting the development of LoRa technology because it’s the ideal fit for a wide-range of IoT use cases, ranging from smart cities and smart campuses to agriculture and industry. LoRa, developed by Semtech, is a wireless technology that supports long-range, low-power IoT communications. The smart metering industry stands to benefit enormously from LoRaWAN technology. Since smart metering applications transmit low amounts of data, they are an ideal candidate for low-bit rate, low-power LoRa devices. 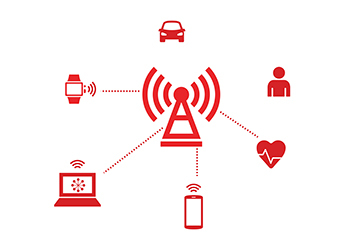 While cellular connectivity usually incurs a monthly charge for line rental and data, LoRaWAN devices are much more cost-effective to use. Thousands of smart meters can communicate with a single LoRa gateway up to 15 kilometres away, depending on urban density, with the geographical distribution of smart meters being supported by LoRa’s long-range functionality. Stream expects LoRaWAN to be used to deliver robust applications that add great value to smart meter operators, bringing reliability, accuracy and efficiency to smart metering solutions. The operational costs associated with parking infrastructure can be significantly reduced with a simple LoRaWAN smart parking deployment. LoRa sensors can be used to report on parking space occupancy, with the data being delivered in real time to the operator via Stream’s LoRaWAN network server. With real-time parking occupancy data, operators can direct drivers to empty parking spaces. LoRaWAN smart parking applications can also be used to increase staff productivity. For example, rather than ticket officers patrolling specific routes, their routes can be optimised to prioritise the most populated parking areas. Local authorities can use the revenue gained from reduced operational costs and increased profits to fund other schemes, such as waste management solutions. Smart waste management solutions, supported by LoRa, offer an opportunity to make cost savings and improve environmental and social conditions. LoRa sensors can be mounted in waste containers to measure the bin’s fill-level. Thousands of sensors can communicate with a single LoRa gateway and, through Stream’s LoRaWAN network server, the fill-level data is routed to the appropriate platform for analytics and archiving. Forwarding the data on to a thirdparty endpoint for analytics purposes allows valuable business logic to be applied to the data, enabling a true return on investment. With fill-level data of the waste containers, operators can significantly optimise productivity. Waste collection trucks can be directed to prioritise bins that are full, rather than emptying all bins with equal frequency. This can significantly reduce the number of waste collection trucks that are deployed and reduce labour costs, leading to substantial reductions in operating costs. Stream’s incubator networks are entirely open and free to use. Working with partners in Glasgow, Liverpool and London, Stream has deployed all the infrastructure necessary to provide comprehensive network coverage to these cities. Using the latest hardware and most recent LoRaWAN specification, Stream’s networks enable developers to test their applications in a real-world environment, including the ability to access location information without the need for GPS. Incubator network subscribers gain trial access to Stream’s award-winning IoT-X connectivity management platform. IoTX provides network subscribers with an unrivalled level of connectivity management and puts them in control of all aspects of IoT connectivity, regardless of network technology type. Setting up and managing LoRa applications. Routing data on to third-party applications, using transmission control protocol (TCP), hypertext transfer protocol secure (HTTPS) or MQ telemetry transport (MQTT). Stream’s incubator networks are supported by the company’s robust LoRaWAN network server, which decodes the data received from devices by LoRa gateways and enables it to be routed via IoT-X or forwarded to a third-party application such as Microsoft Azure, PTC ThingWorx, IBM Watson IoT or scriptr.io. Stream’s LoRaWAN server has been integrated to function with LoRa compliant gateways from leading hardware providers such as Kerlink, Link Labs, MultiTech or any device using the Semtech packet forwarder. Stream is constantly integrating more ecosystem partners to ensure sound interoperability between product offerings. Stream’s networks provide secure, end-to-end encryption of traffic on the network. This is achieved by implementing LoRaWAN AES-128 (Advanced Encryption Standard) encryption for the communication. When data is forwarded to third-party applications, Stream provides transport layer security (TLS), thus ensuring data is encrypted end-to-end. While Stream’s incubator networks are supporting the development of future LoRa applications, the company has also deployed numerous networks that are being used for commercial purposes. For example, earlier this year Stream worked with Pinacl, a UK-based systems integrator, to deploy a city-wide LoRaWAN network in Newport, Wales. This project marked a significant undertaking for Pinacl, which was investing in the network to support a customer of strategic significance. As a result of working with Stream, Pinacl has been able to deploy a cutting-edge LoRaWAN network in the city. The ability of Stream’s IoT-X platform to handle multiple communication methods from LoRaWAN gateways, including cellular and fibre, was paramount to Pinacl’s smart city strategy. This provided Pinacl with the maximum choice and flexibility on gateway locations and appropriate backhaul connectivity and lead to significant cost avoidance with regards to connectivity costs. Pinacl’s partnership with Stream will continue to deliver value into the future, as Pinacl on-board more smart cities.